Lodgify offers the option to synchronize the calendar of your external channels with your Lodgify calendar. 1. Copy the Lodgify iCal URL. 2. Paste it into the calendar settings of your external channel. 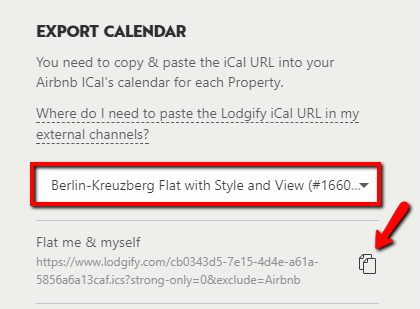 Importing will allow you to automatically keep your Lodgify calendar up to date with external calendars. Go to Import Reservations and click on Calendar Import/Export Tool. A pop-up window appears. Insert the iCal URL. If you have more than one property, select the one corresponding to the iCal URL. Then insert the Source of the link and Confirm mapping.